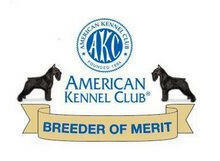 If you are seriously thinking of owning a Shana Standard Schnauzer, please take the time to fill out our questionnaire. This questionnaire is designed to help you with important decisions related to owning one of our special dogs. It also gives us a chance to get to know you and your family. This is also a important part of helping you choose the right dog for your family. This is the first step to your new friend! We are excited to meet you! Print the empty form and fill it out manually. Then sign it and mail it. Fill out the form using Adobe Reader, (any version). Then print it, sign it, and mail it. Fill out the form using Adobe Reader XI. On the View Menu, click “Fill & Sign”. If a dialog opens, type your name in the “Enter Your Name:” box to create your signature. Click “Accept”. (The other signature options may be used at your discretion.) If no dialog opens, just continue to the next step. Move your mouse over the last page of the Application, and click to place your signature. On the “File” Menu, click “Save As...”. Provide a file name and location for your completed Application. 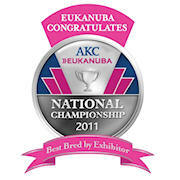 Visit Our Breeding Plans page for all the latest information on recent and upcoming litters.